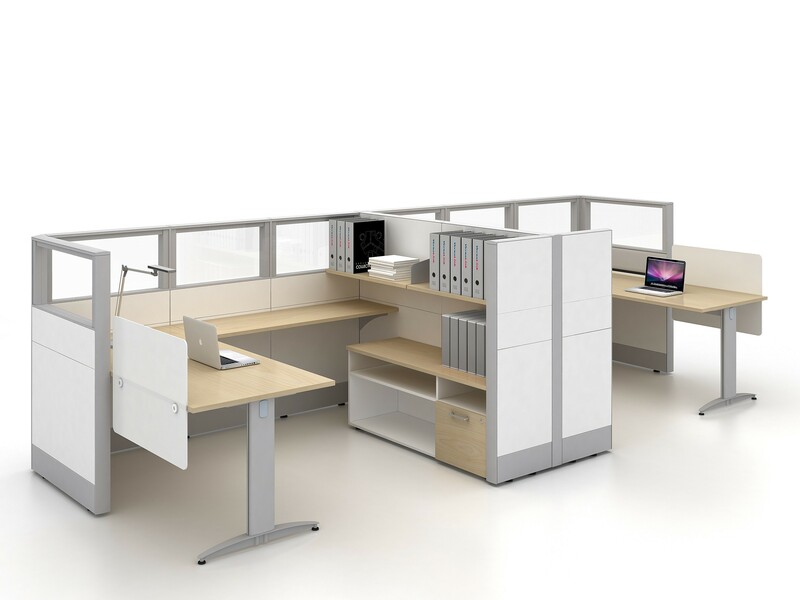 In an organised office, we can customise and alter the requirements of panel partitions to suit the design of the office layout. Over here, it is a single cubicle space with full privacy. 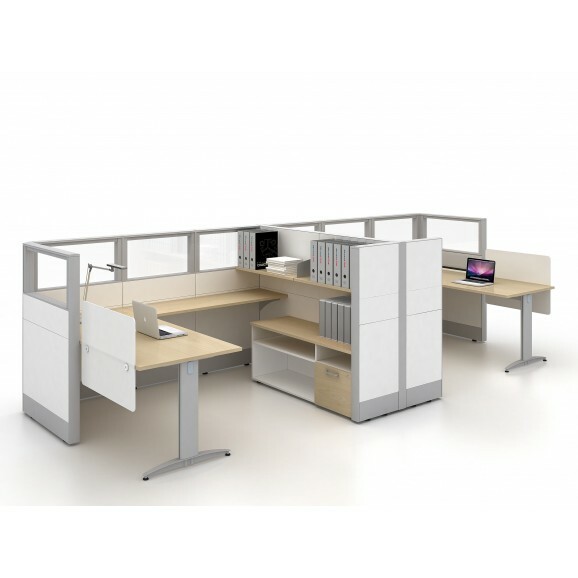 There is an additional cabinet as an divider in between the two cubicle.